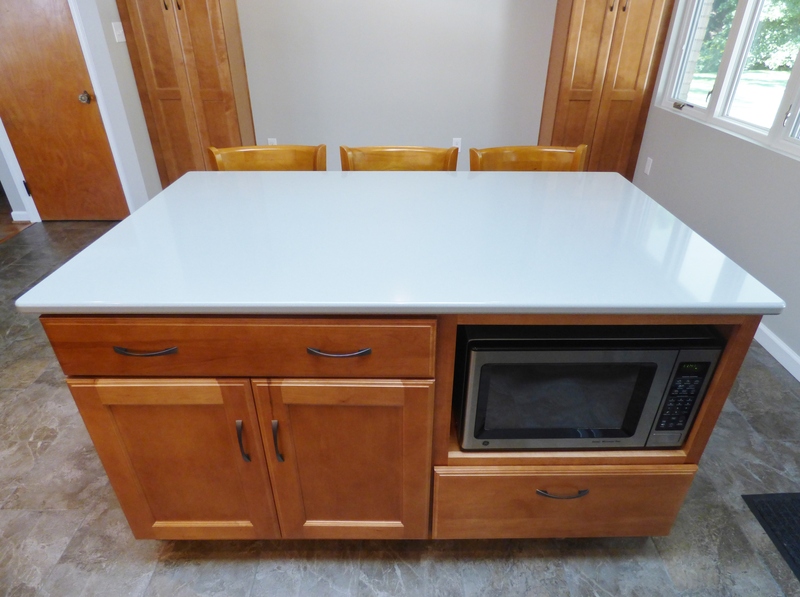 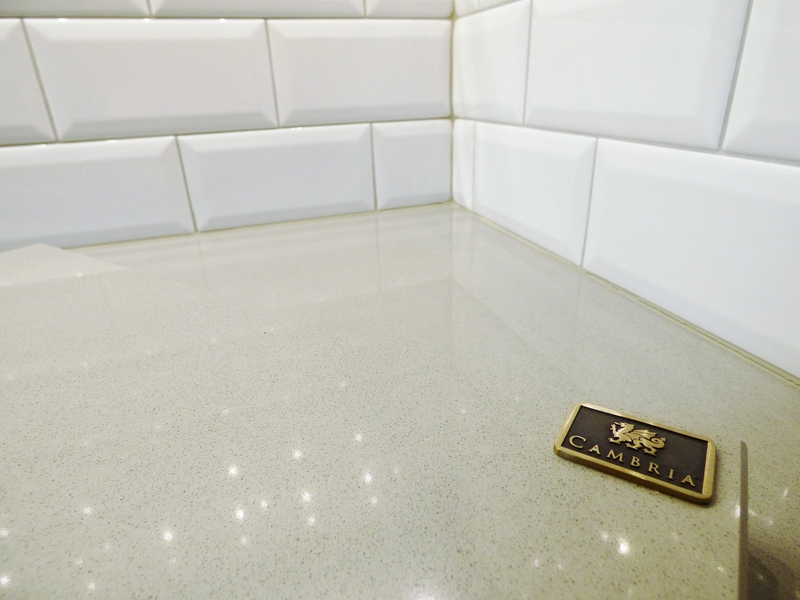 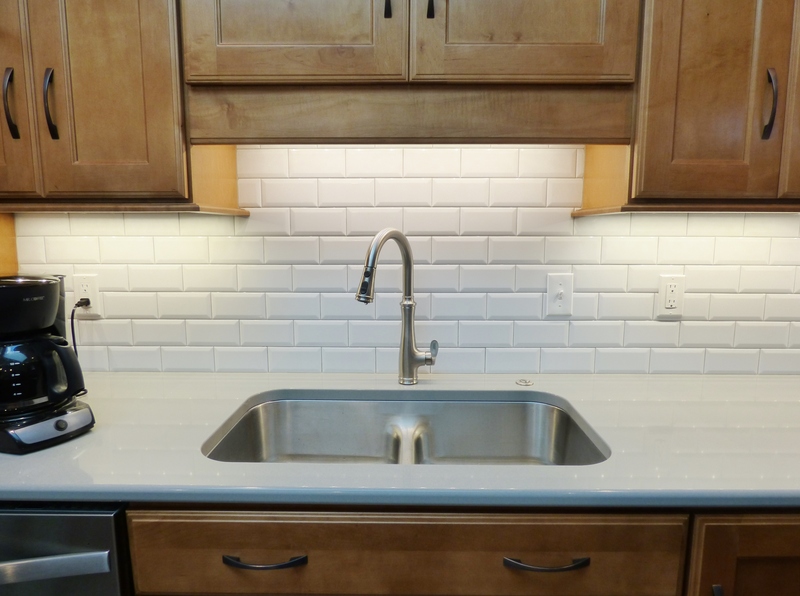 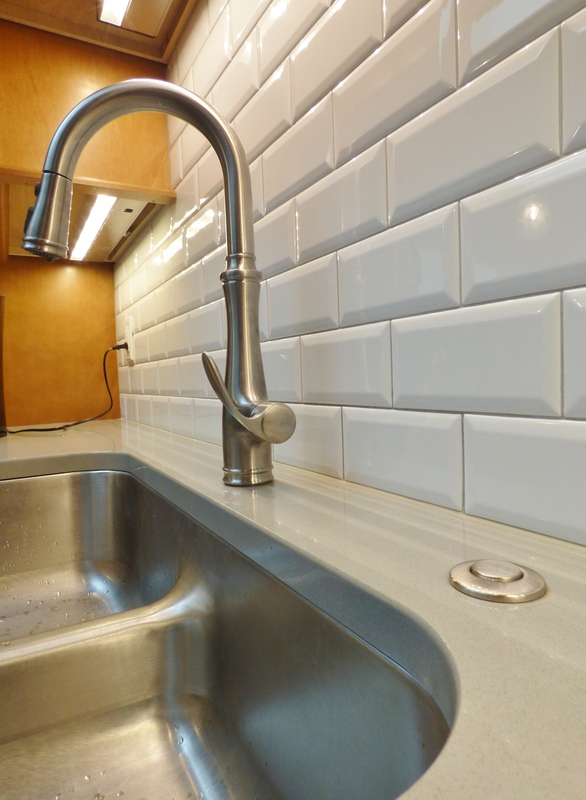 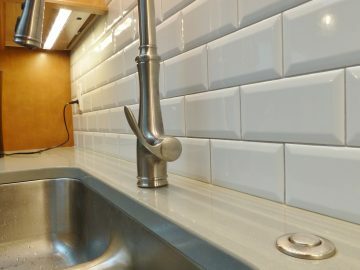 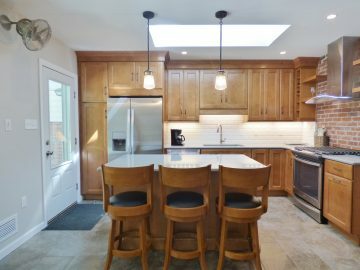 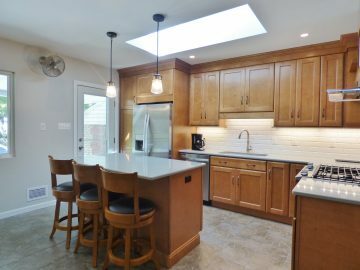 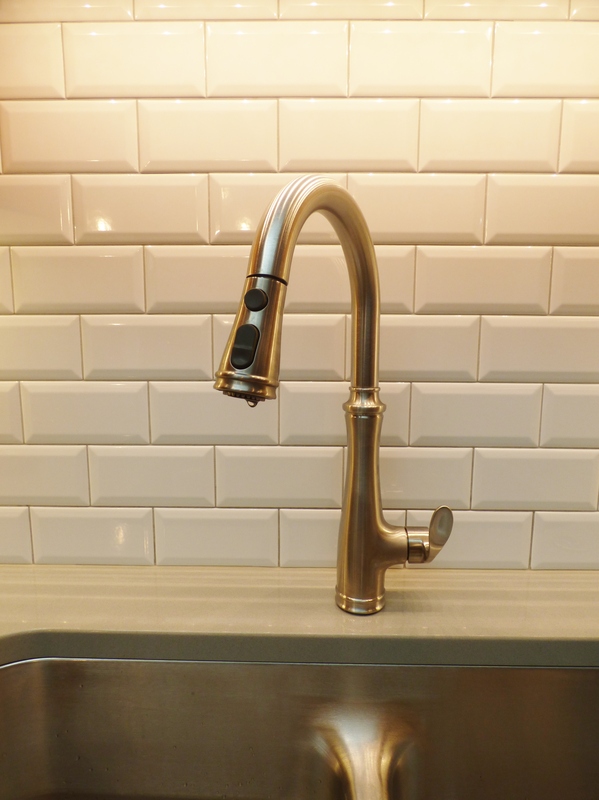 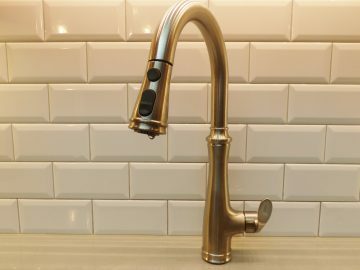 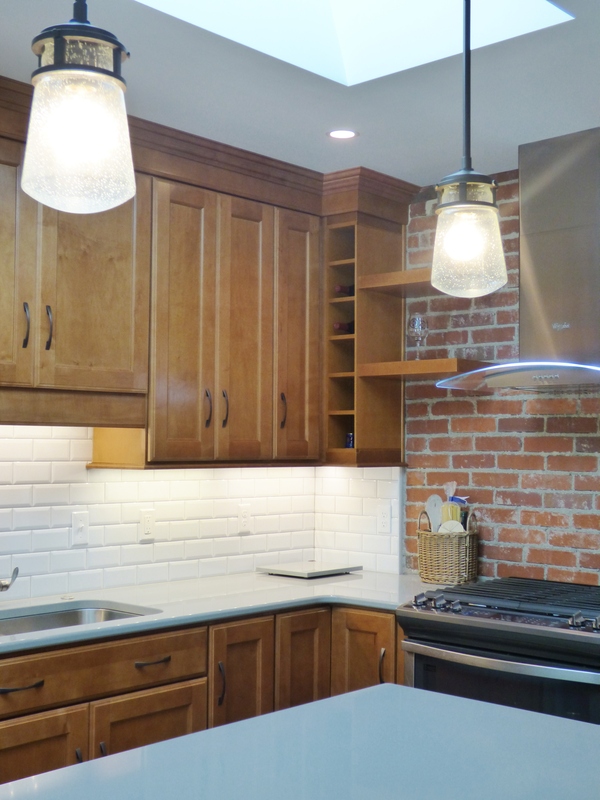 Clean, calm, and classic were the main goals for this kitchen remodel. 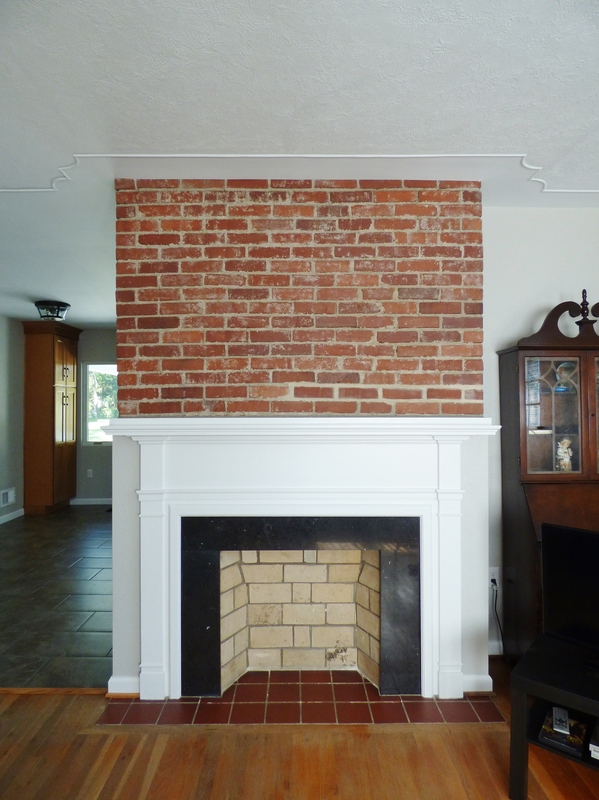 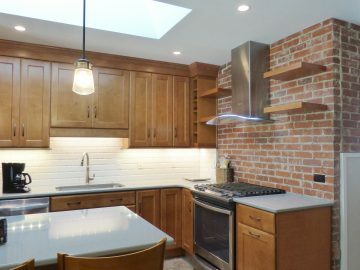 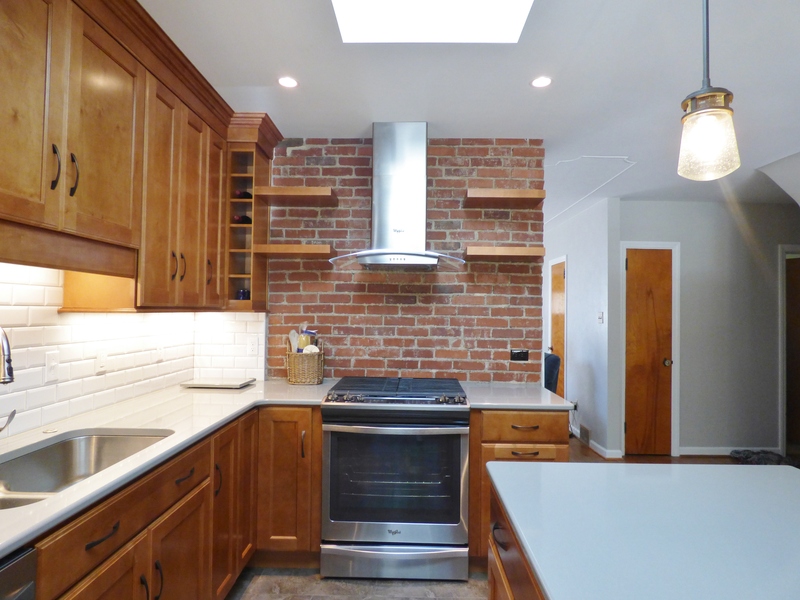 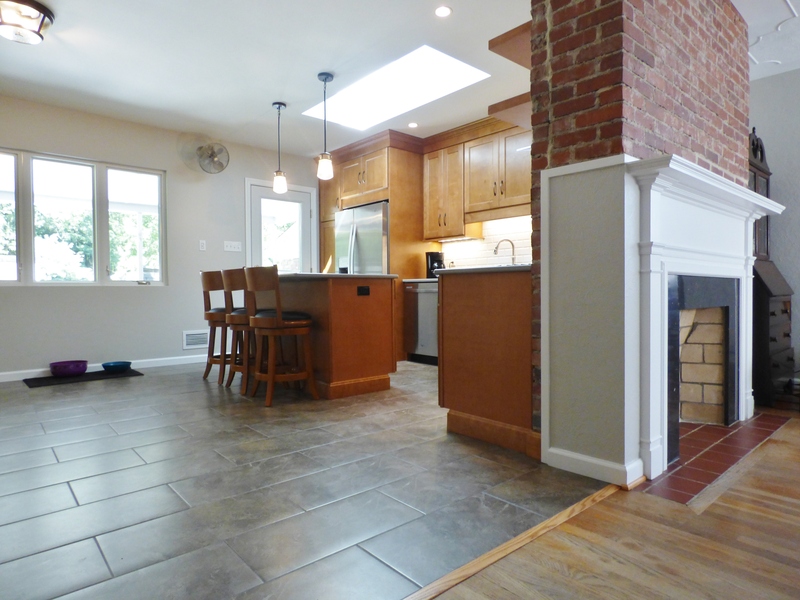 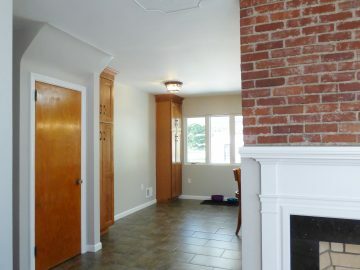 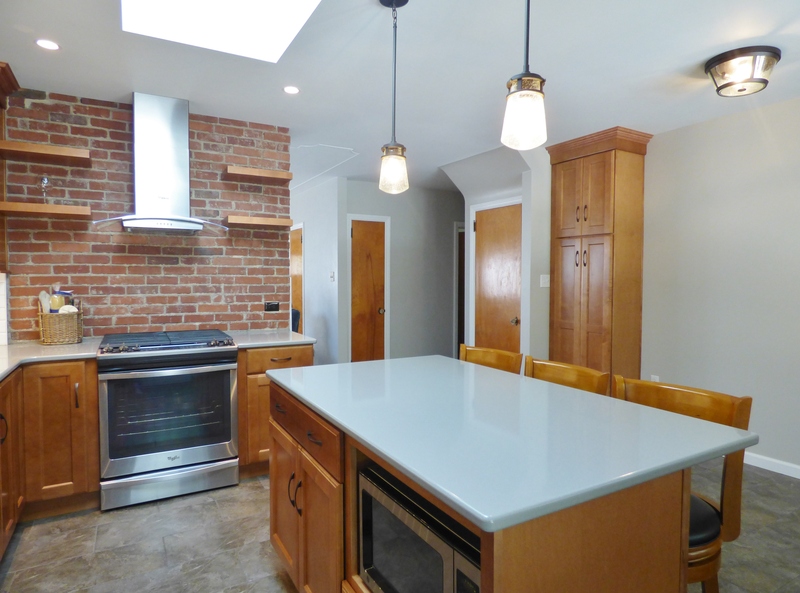 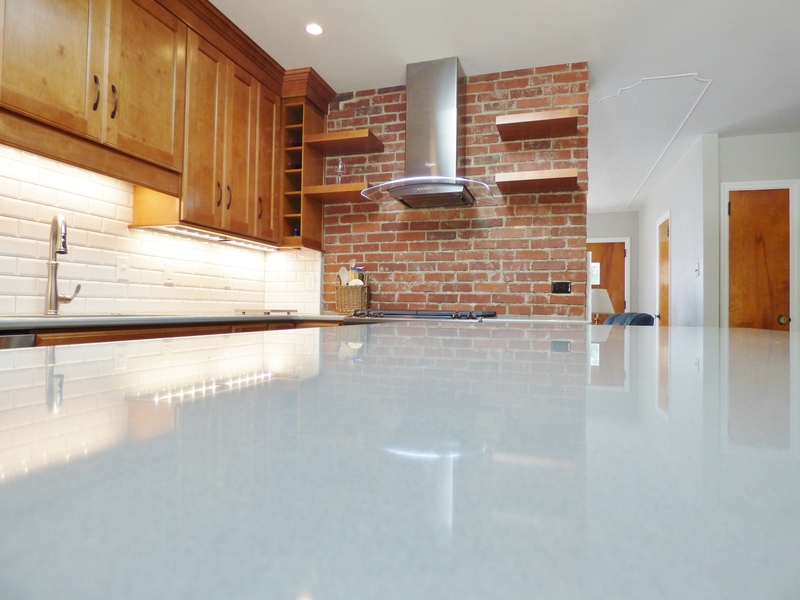 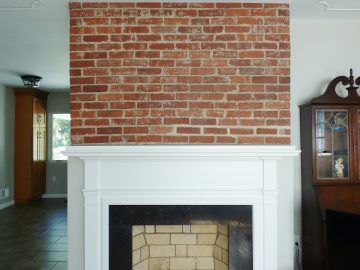 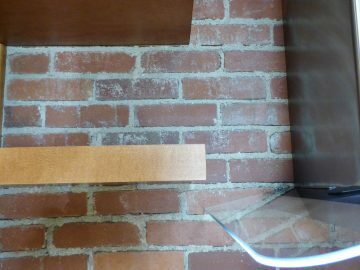 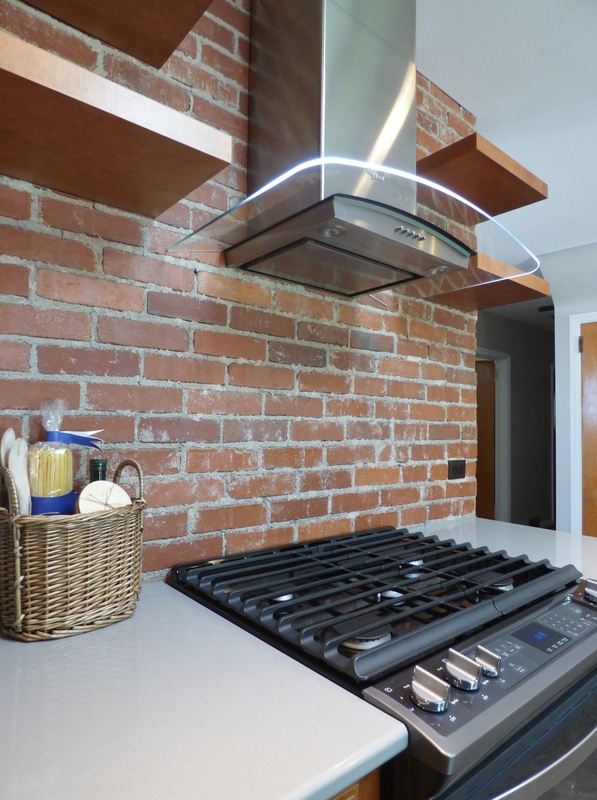 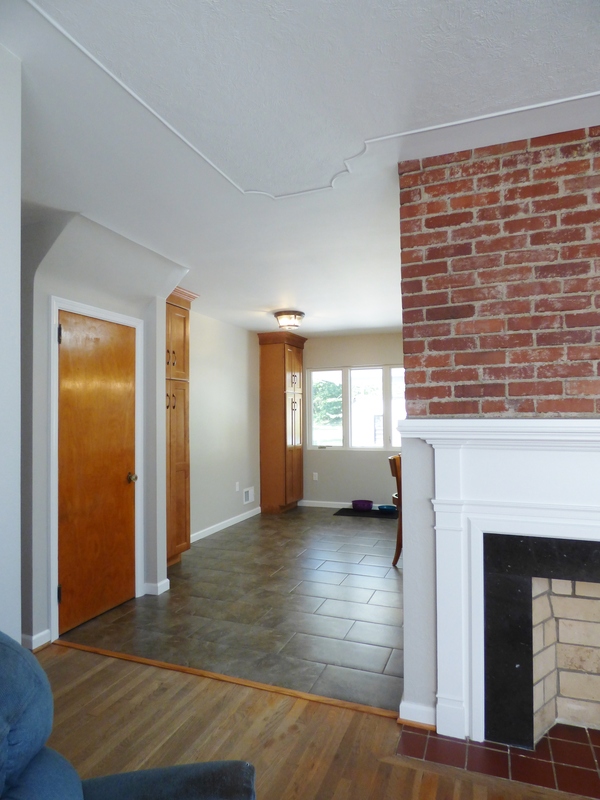 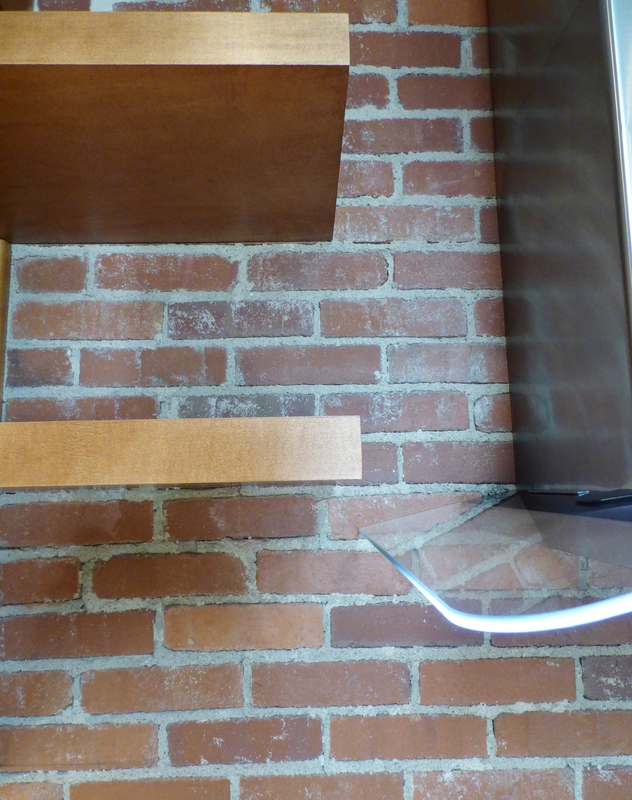 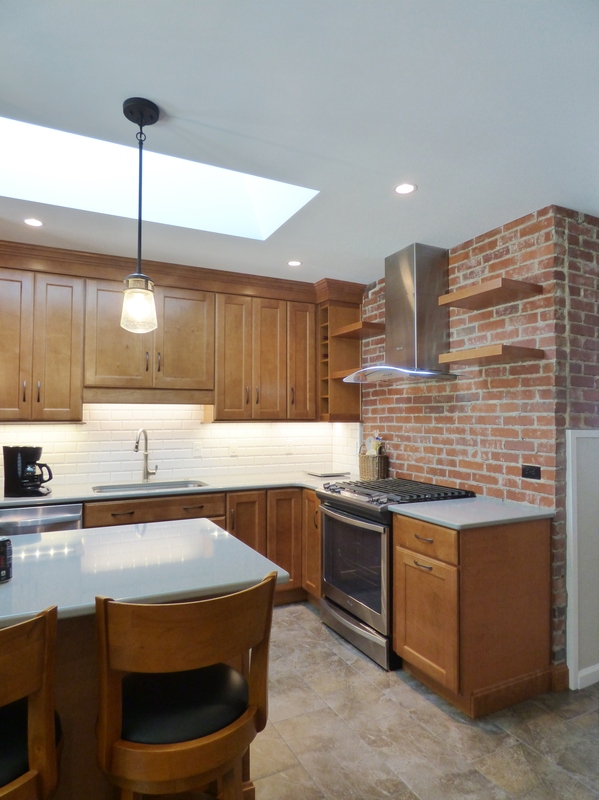 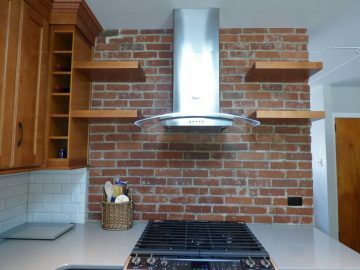 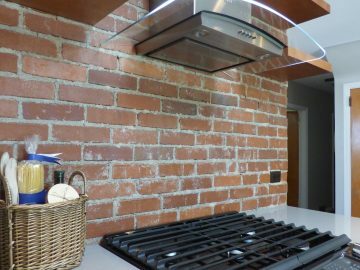 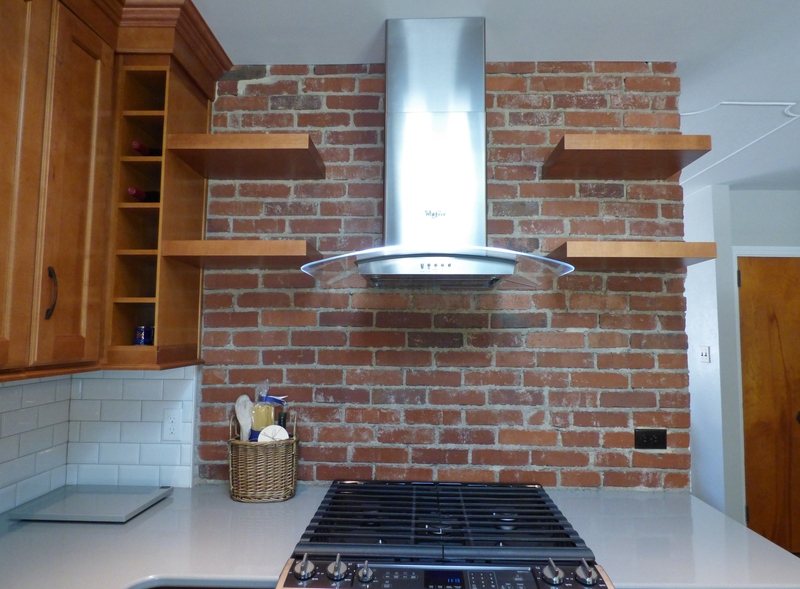 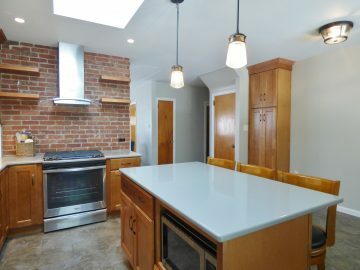 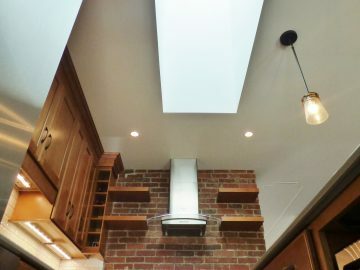 Removal of drywall revealed a beautiful focal point of the space; an original brick chimney. 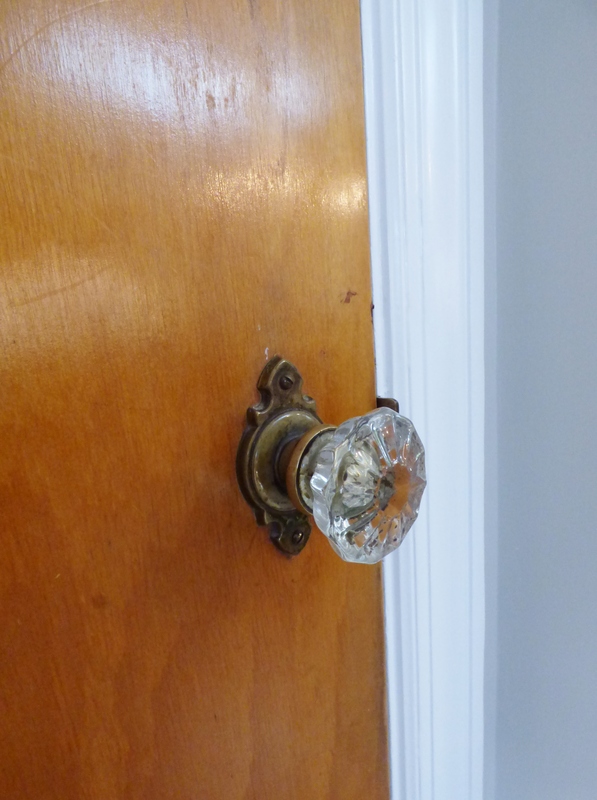 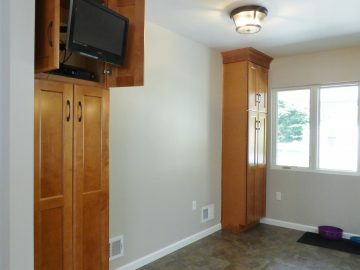 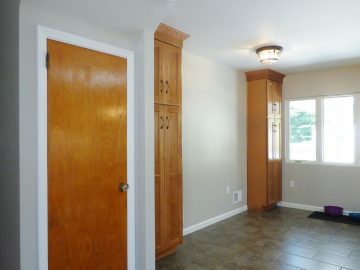 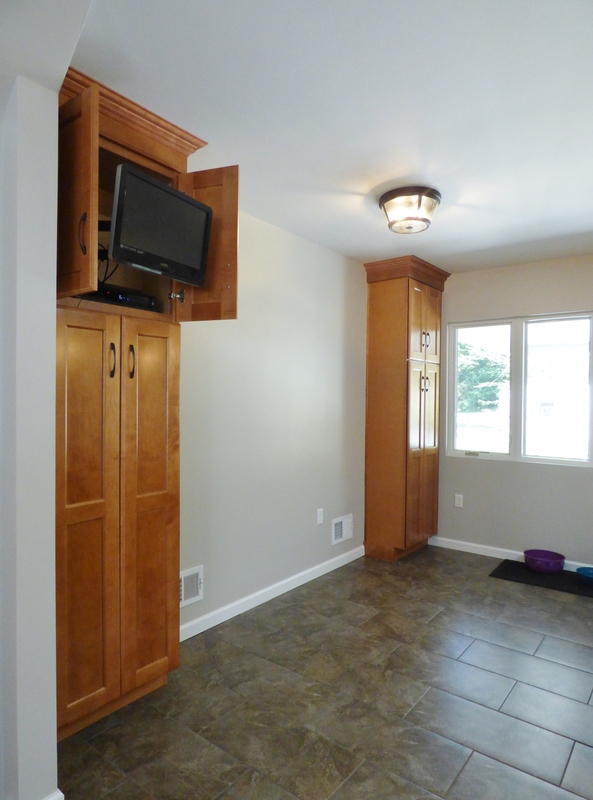 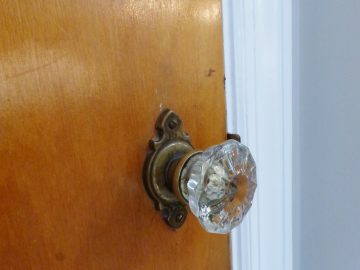 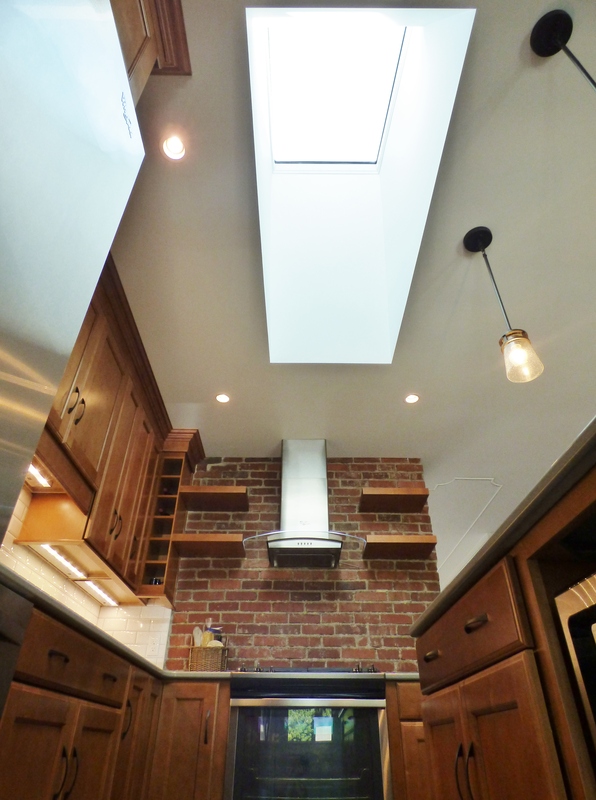 Pair this with the new kitchen skylight to create a more spacious and functional work space, and you’ve got a winner. 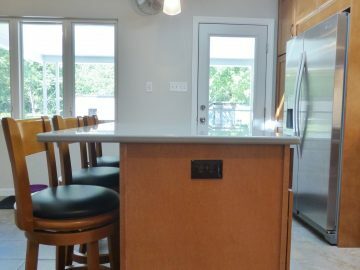 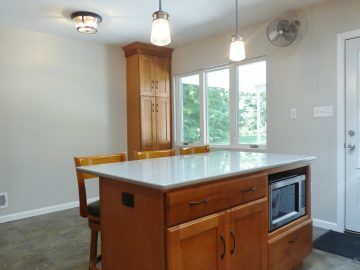 Sleek, stainless steel appliances and cool grey quartz counters are offset nicely from the rich wood cabinets and bar stools. 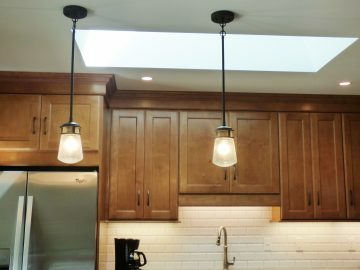 Edison bulb light fixtures provide an industrial touch and throw lots of warm light across the entire space, while undercabinet light is efficient, as always. 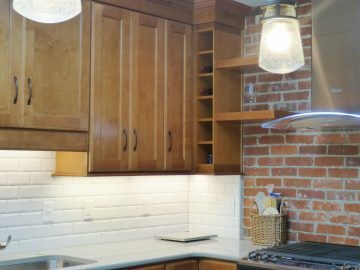 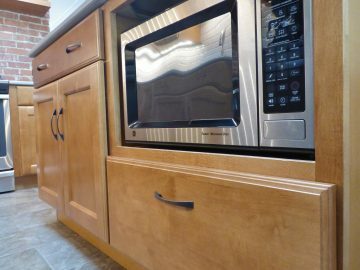 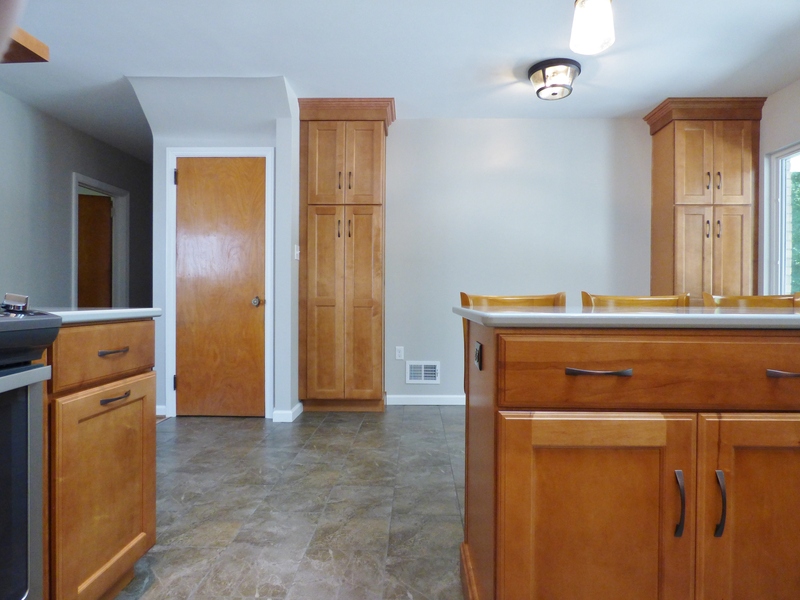 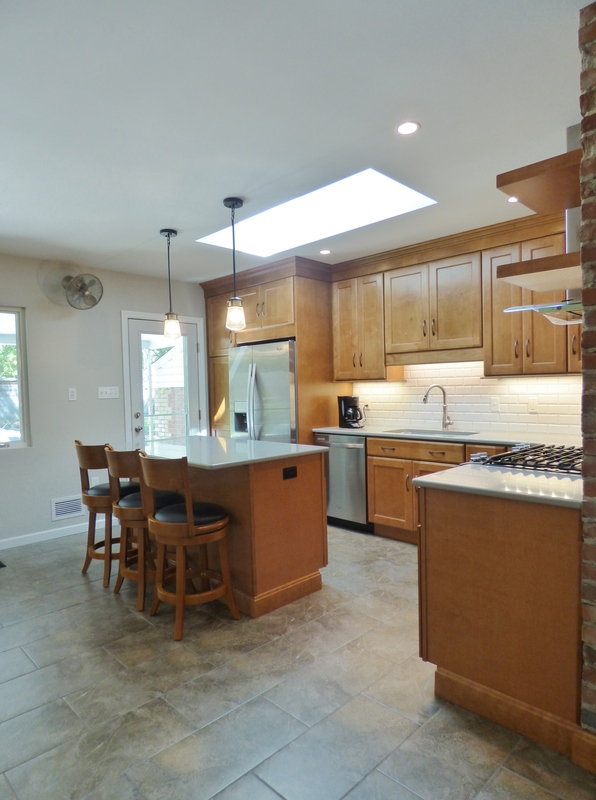 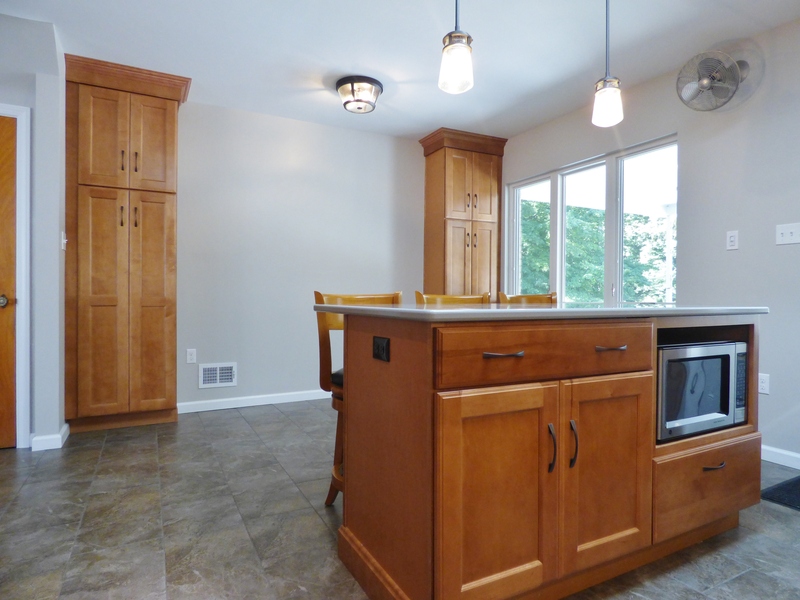 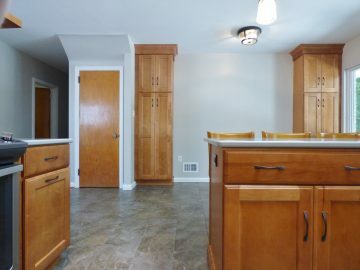 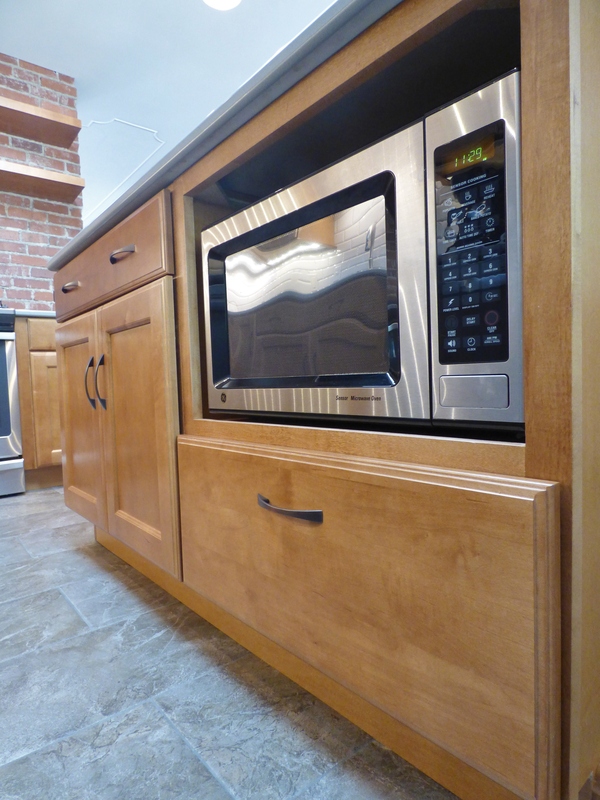 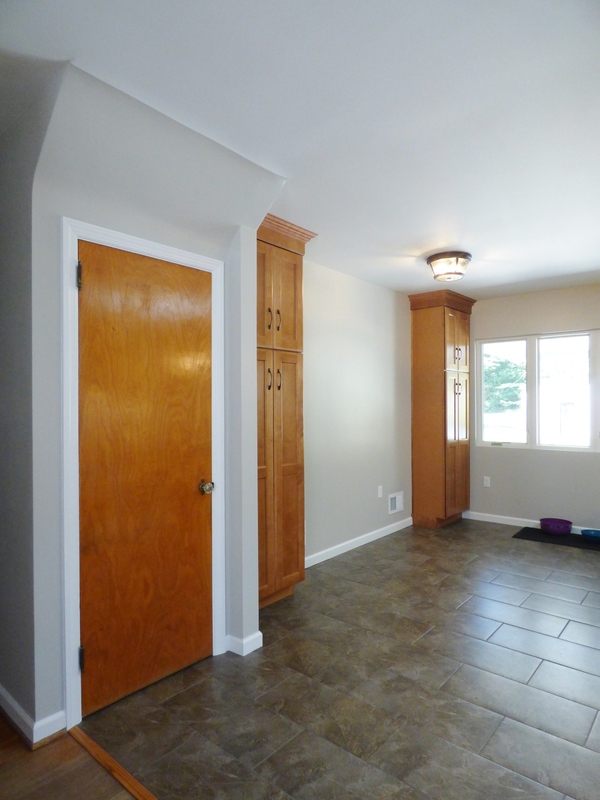 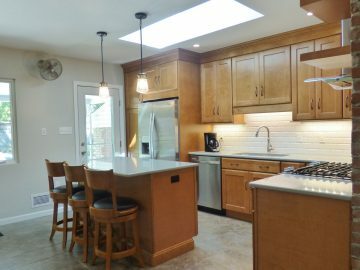 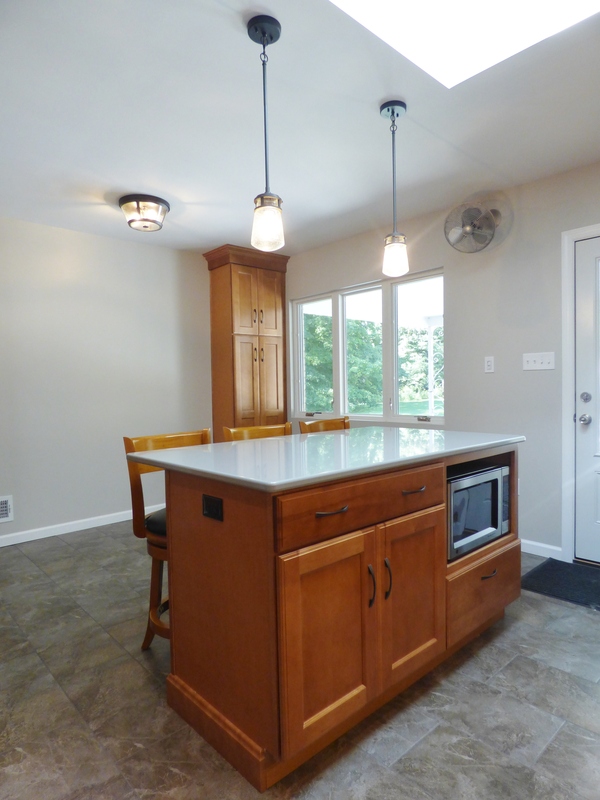 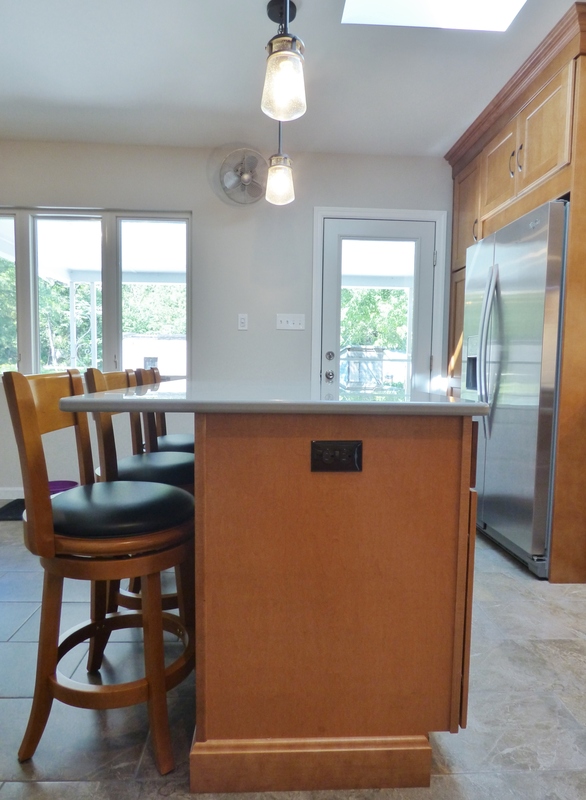 From top to bottom, this kitchen definitely made the leap from outdated to rejuvenated!